If you missed my Valentine’s Day promo, be sure to grab a copy of Connected now! It’s free from 3/29 through 3/31. What better way to spend Valentine’s Day than curled up on a couch with a great indie read! 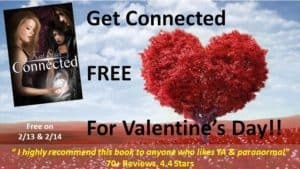 My fabulous YA Paranormal Romance novel Connected is FREE today and tomorrow to celebrate the holiday. If you missed it, don’t worry, I’m going to adjust the price to .99 on Wednesday, so you’ll still have a chance to get it for a steal! As an avid reader myself, I thought I would share some of my favorite places to get ebooks at either a discount or completely free. I must warn you, I am a Kindle owner, so several of these are Amazon-related. However, in some cases comparable offerings may exist on other platforms. Since these were the guys that pioneered the ebook revolution, it’s fitting to start with them. If you’re looking for public domain books, Project Gutenberg is the most comprehensive list of free titles – over 50,000. For the fan of classic literature, you could live two lifetimes and not finish half the books here. Perfect for the bored Highlander. Archives.org is more for non-fiction, with over 10 million titles from around the world. This falls under the deeply discounted category. What is Kindle Unlimited? It’s Amazon’s all-you-can-read offering on ebooks. For $10/month, you get unlimited downloads, with a cap of 10 books out simultaneously. If you factor that the average ebook costs anywhere from $3-10, and most bibliophiles like myself can devour a book in a day or two tops, that’s an amazing deal. Like a traditional library, you’re borrowing the books as opposed to owning them. Not all books are available via Kindle Unlimited. If you’re looking for the latest bestseller, you may not find it there. Kindle Unlimited requires the author to exclusivity for three months, so it just doesn’t make sense for a best-selling author to lose out on other revenue streams, at least not right away. However, if you’re into indie fiction like I am, you will get a lot of use out of your subscription. I’m amazed at how often I can find a title I’m dying to read there. It’s also a great source for non-fiction books – I’ve read some great titles on marketing/selling books here. Seems too easy, right? I did two searches for the same category on both sites: “Free YA Paranormal Romance.” It returned only a little over 300 titles on Amazon, but over 5000 on Barnes & Noble. I was a little surprised at this; I thought it would be the opposite. Sometimes it seems as if searching on Amazon is difficult, at best. With Amazon, you can also look at daily deals from the Kindle store screen, which features books priced $3 or less. Afraid Free Books will be Craptastic? I would never read a craptastic book! Don’t be. 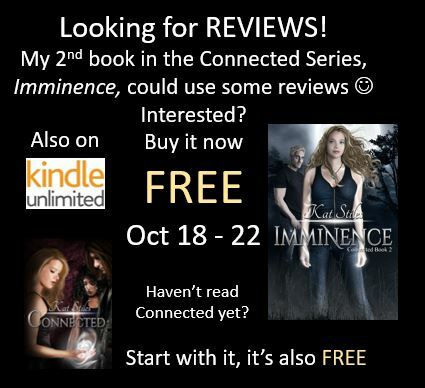 Many times authors make the first book in their awesome series permafree, which is a cool new term cleverly combining the words “permanent” and “free.” So it’s like a first taste free deal, to get you hooked on the series and buy the later installments. Of course I’d be lying if I said all free books were worth the time it takes to read them. I do two things when I’m evaluating whether or not to “purchase” a free book. First, I look at the ratings. If I’m on a smaller site, I’ll hop over to Amazon to look at the reviews there. Or better yet, Goodreads, as they have more candid reviews there. Reviews aren’t the end all, only a good place to get a general feel for what others thought of it. But really it comes down to the second thing: Reading a few pages from the “Look Inside” feature on Amazon. I’ve loved books the public hated, and vice versa. If I can sample a few pages, I’ll know immediately if it’s written in a style I enjoy reading, if the plot is engaging, or if it was *gasp* published prematurely. I mentioned Goodreads earlier because it is the be-all, end-all for book geeks. 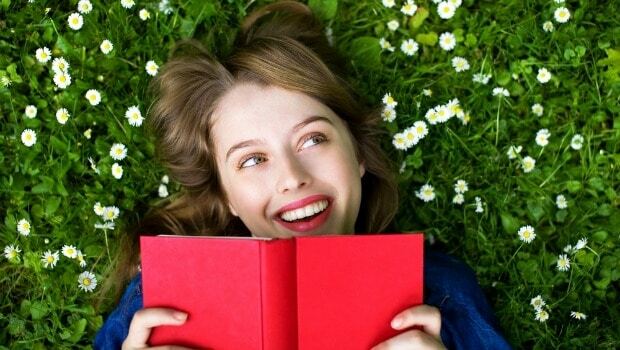 There are so many cool things you can do on this site, from finding other book geeks to chat about reading or joining a book review group, to entering awesome book giveaways. I could write an entire article on why Goodreads is one of the neatest hangouts. But for this post, I’ll just talk about the couple of spots you can find free books: Listopia & freekindleebooks.com. 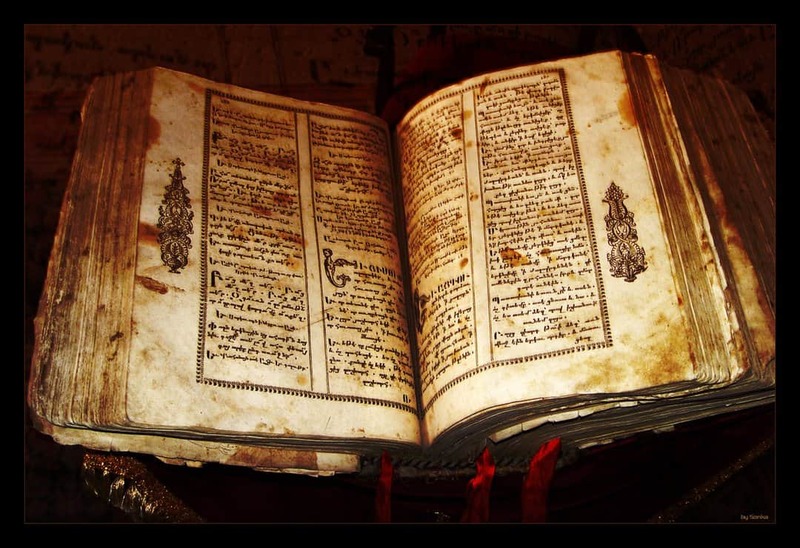 Listopia is the place to find lists on Goodreads. What kind of lists? Lists of books, of course! Any kind of book genre is bound to have a list here. I’m sure there are several, but one good one I’ve found is Best Free Ebooks. It’s got nearly 600 books on it. Some of them are public domain classics, some of them appear to be Kindle Unlimited free, but there are still some good totally free titles there. Don’t be discouraged by the basic template look of this website – it has a great listing of free books available on Amazon. The search capability leaves a bit to be desired, but this is a good place to browse by category. Depending on where you live, your public library may be using one of several companies to provide ebooks to the general public. Overdrive is one of the big ones, but from what I understand, it doesn’t carry all titles, and you may have to put in a request with the library to get the book you’d like. My book, Connected, is offered via Overdrive, because my publisher, Wild Child Publishing, has access. 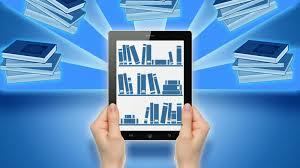 Ebsconet, Axis360, and Hoopla are some other services that provide ebook access to libraries. Your friendly neighborhood librarian misses you! If you haven’t heard of it, Bookbub provides daily emails of heavily discounted or free books to readers who’ve signed up with their service. It’s free for readers, and you can specify exactly which genres you’re interested in, as well as specific authors. I open their emails regularly, and tweet about some of the more phenomenal deals they send me. Though BookBub is the largest and most popular, there are several others like it that offer the same kind of service. This SPR article provides a comprehensive list of other choices. Though this article is geared more towards authors (as it’s grown increasingly difficult to have your book accepted by BookBub), readers can also use the links to sign up for book deal emails. What do you think, did you find this post helpful? Are there any other sites I’ve missed for awesome free ebooks?